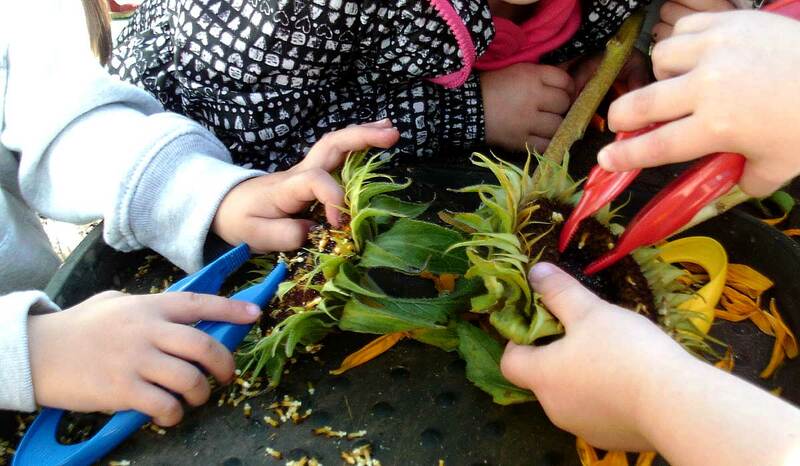 At a time of the year when the summer flowers are fading and autumn is approaching, our children in Pre-school have thoroughly enjoyed an activity to closely examine the properties of a sunflower, supporting their understanding of living things, patterns and change. 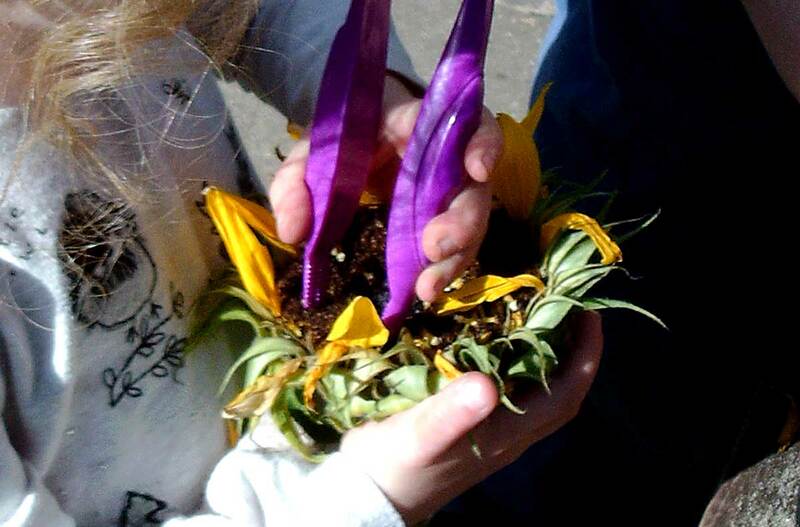 The flowers found themselves at Pre-school after spending time brightening up one of our practitioner’s home. 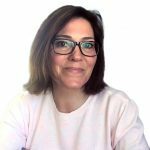 She thought that although the sunflowers were heading towards the end of their life, it would seem such a waste to throw them away when they could offer so many learning opportunities for the children. Nature is, after all, utterly fascinating and the sunflowers would provide thought provoking experiences for our curious young Pre-schoolers. 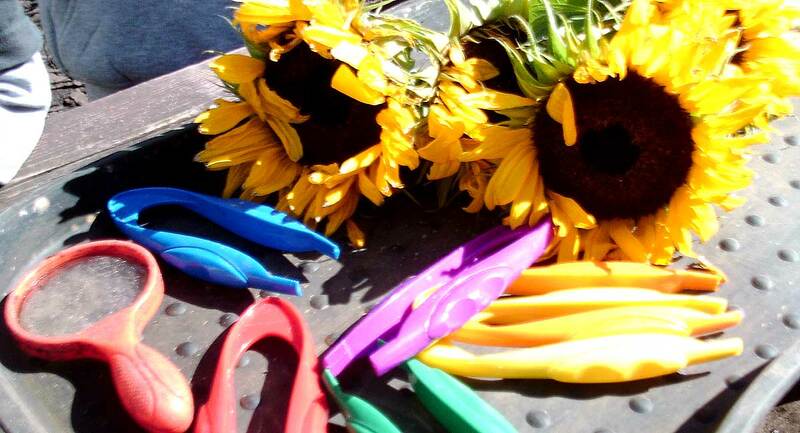 After a discussion at circle time regarding the sunflowers, an activity was prepared outside where the children would be able to dissect the flowers using plastic tweezers and examine the inner parts using magnifying glasses. We began the activity by looking closely at the sunflowers themselves; discussing what type of flower it was, the circular shape in the middle and the colour of the petals. This led to introducing the children to the different names for parts of the flower, including the centre which is called the disc and the petals which are referred to as rays. We discussed that today we would be dissecting the flowers and what this process meant. The children then eagerly used the tweezers to pull out the petals, doing so one by one. They carefully manipulated the tweezers by using their fine motor skills to squeeze them together to create the necessary action to pluck the petals out of the flower and showed good hand eye coordination as they performed the task. 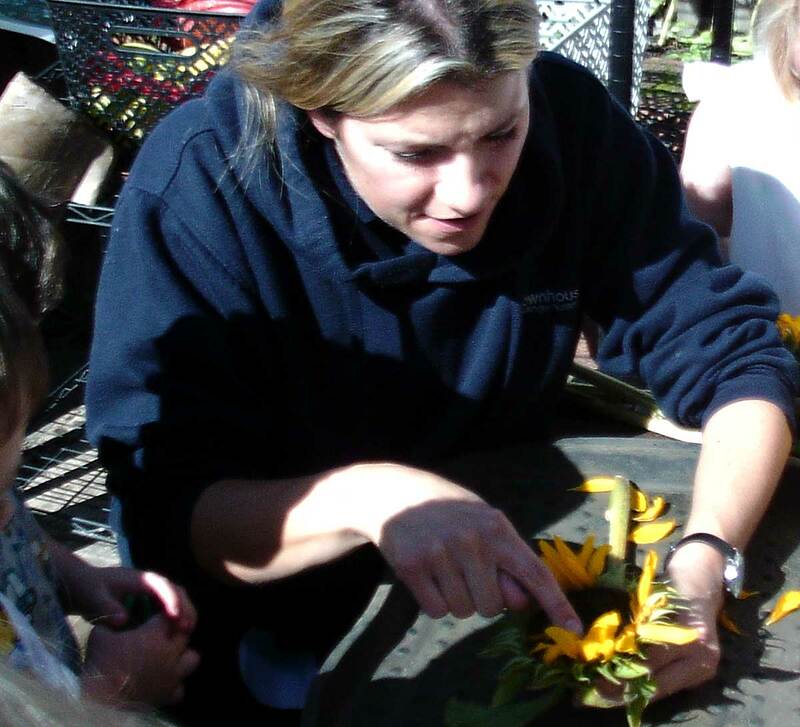 They then used the magnifying glasses to examine both the petals and what was left of the sunflower. Once the petals were all removed they began to dissect the inner part of the sunflower, carefully plucking out the florets within the disc. This was trickier and took some determination. The children took on this challenge, fully engaged in their activity and using their senses to investigate, commenting “it’s sticky” as they eagerly explored the florets with their hands. We discussed the stem and compared the stem length of the different sunflowers. 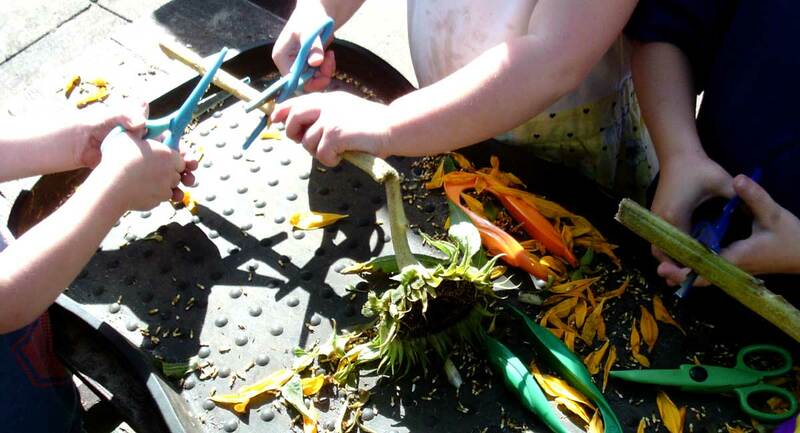 We then extended the activity by introducing scissors so that the children could cuts the stems and sunflower discs. The activity held the children’s attention and fascination for a sustained period of time, as they visited and revisited, to enquire, explore, discover and learn.